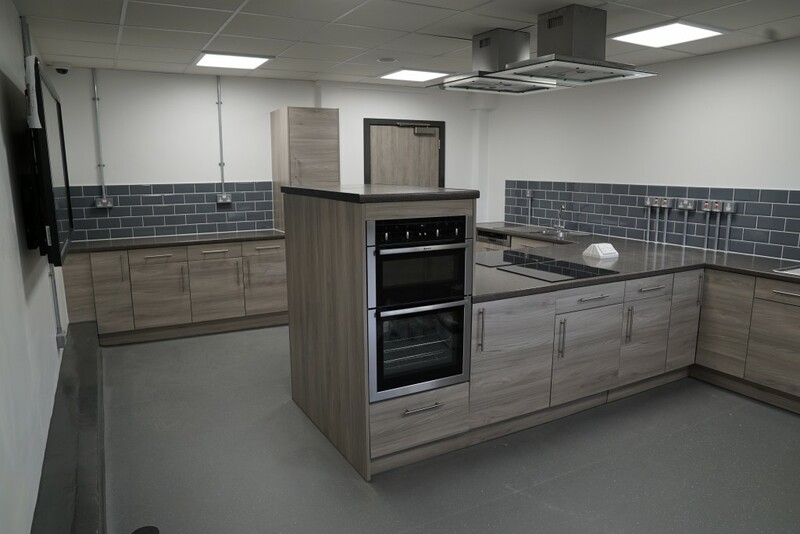 Brief: Full refurbishment to create a vocational training facility for students with social, emotional and mental health needs. Beacon House was built as a dairy depot in the 1970s and bought by the London Borough of Bromley to provide vocational training facilities for Burwood SEMH School for students with social, emotional, and mental health needs. It was in a very poor state of repair and e were appointed to re-purpose the building including a full strip out and refurbishment, as well as the replacement of the asbestos roof. 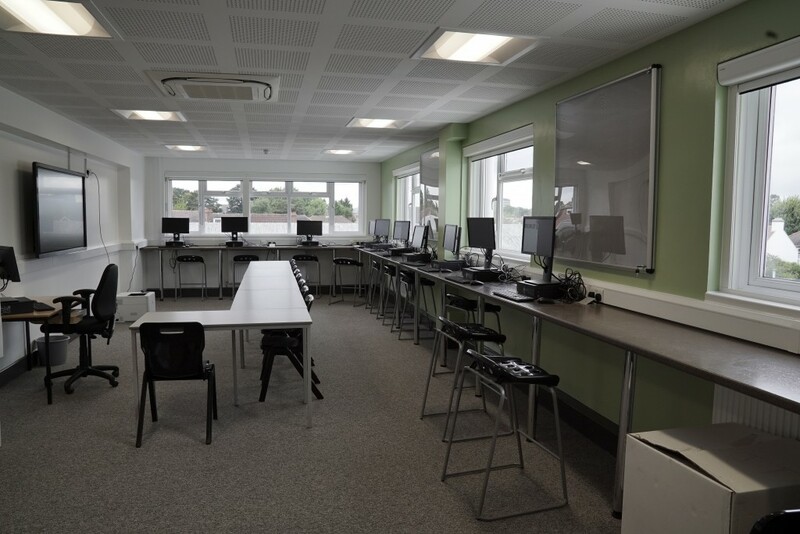 Our design to convert the existing building for Bromley Beacon Academy optimises the layout within the retained shell to minimise refurbishment costs and ensure fitness for purpose. The spaces are organised to separate ‘dirty’ functions (workshops) from the ‘clean’ functions (offices and classrooms). 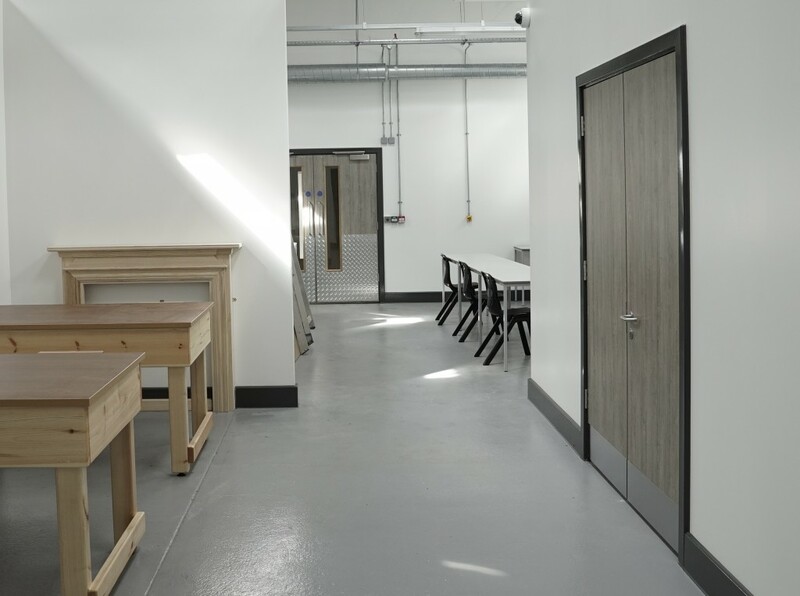 Group rooms have been distributed throughout the building to provide flexibility – used as additional ‘time out’ areas or informal meeting spaces. The centralised circulation and additional lift provide disabled access to all parts of the building and improve circulation for all users. The other key considerations for the scheme were the health and safety of building users, improved natural lighting and ventilation, robustness and security – including access controlled lobby and oversight by staff across site.